I am pleased to announce that I am now a new Diplomate of the American Board of Sleep and Breathing. I am a long term Diplomate of the American Board of Dental Sleep Medicine, Credentialed by the Sleep Disorder Dental Society (SDDS) and a Founding member of both the SDDS (Now AADSM) and Dosa , the Dental Organization for Sleep Apnea. I did research into jaw position and sleep apnea as a visiting Assistant Professor at Rush Medical School from 1985 until 1991 and returned as an Assistant Professor from 1998 until 2001. I had the pleasure of working with Dr Rosalind Cartwright who was responsible for the growth of Dental Sleep Medicine. I am currently in day two of my Harvard Medical School course on Advanced Pain Management. I am spending all of this week in Boston to improve on my skills in pain management. The program is on Advanced Pain Management continuing Education with Academy of Integrative Pain Management and Harvard Medical School’s Top Pain Doctors. Headache, Fibromyalgia, Neuropathic, Myofascial, Cancer, Abdominal, Pelvic, Musculoskeletal, Spinal Pain. If you are suffering with undiagnosed or troubling symptoms such as headaches, ear pain, vision issues, neck, back or shoulder aches or postural problems, you could be dealing with a TMJ issue. 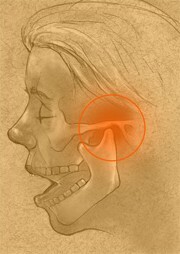 TMJ refers to the temporomandibular joint. This is the central hinge in your jaw that allows the bottom to swing open and shut with ease. When everything is working the way that it should, movement usually flows without a problem. However, you are likely to have serious problems if something is out of balance. 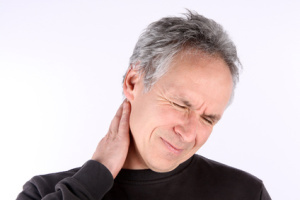 Pain is the primary concern that plagues most patients with a TMJ disorder. Physiologic dentistry can offer you solutions. A misaligned bite is often the cause of a jaw joint disorder. This problem with the alignment of your jaw can result from stress, grinding your teeth, a blow to the jaw, improper development of the jaw, or problems with the surface of your teeth. Regardless of the cause, it can cause serious discomfort. Physiologic dentistry offers you TMJ treatment that can address the problem with your jaw to help you find relief. When you turn to a dentist who focuses on Physiologic Dentistry, a proper diagnosis of your TMJ disorder is the first step. From that point, the main goal is to resolve your jaw disorder with a TMJ treatment designed to restore your optimal jaw position. Jaw relaxation can also be helpful in restoring your physiological health. The principle behind Physiologic Dentistry is to help bring physiological health back to your jaw. A Chicago Physiologic Dentist doesn’t aim to “heal” his or her patients. The goal is to correct bite alignment issues and muscle-related problems which block the body from healing itself. If you would like to learn more about Physiologic Dentistry and if it can help resolve your jaw joint issues, please schedule a consultation. The fundamental principle of Physiologic Dentistry involves ensuring that all physiologic muscle functions are performing as they should. The belief here is one in which doctors don’t actually heal their patients, and instead help to correct any muscle-related barriers that can get in the way of the body being able to heal itself. 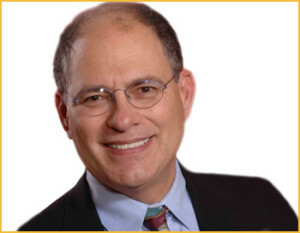 Dr. Ira Shapira, founder of Ihateheadaches.org, has a mission – to educate and assist those in need of a specific diagnosis and subsequent treatments. Physiologic Dentistry is said to be one of the most inspiring fields of dentistry, mainly because it offers many more options for treatment. Not long ago, dental treatments involved using a certain routine that for the most part consisted of looking for and treating possible diseases. It was 1934 when Dr. Costen, an otolaryngologist practicing in St Louis , MO, found a series of issues in denture patients that ultimately became known as TMD or TMJ disorders. 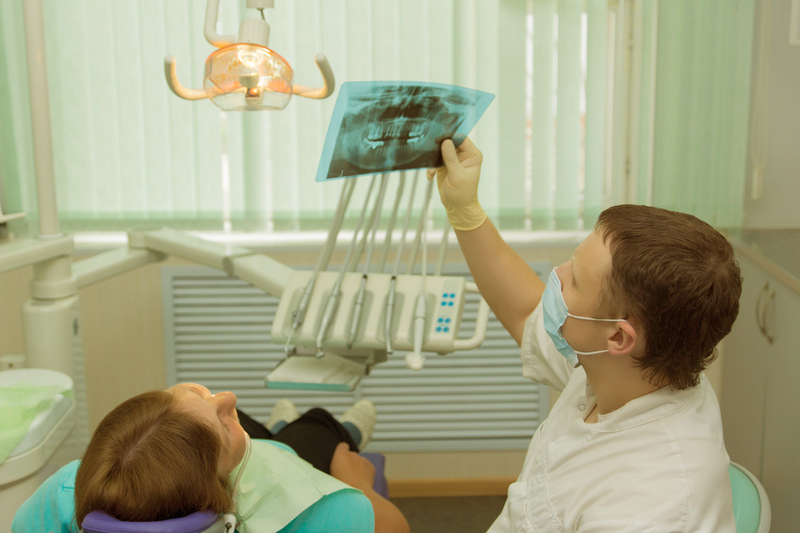 Because dentist treatments were then routine-based, these issues weren’t properly addressed. Dr. Barney Jankelson is a board-certified prosthodontist practicing in Seattle, Washington, which is now known as the birthplace of Physiologic Dentistry. Dr. Jankelson understood that although performing a regular dental routine was essential, there also needed to be a focus on the importance of basic muscle functioning. Dr. Jankelson then began to experiment by using a few methods that helped with muscle relaxation, assessing any and all physiologic limitations that were in place. Because of Dr. J, Physiologic Dentistry soon became well-known for the treatment for TMJ problems. Even though many dentists still held on to these dated views on performing routine dental procedures, they still consider the jaw joint or the temporomandibular joint to be the most significant part when seeking dental treatments. Known as Centric Relation Dentists (Centric Relation refers to joint position) they consider that a dentist should be able to recognize how a patient’s jaw should function best using their own muscles. Dr. Jim Garry was a pedodontist who illustrated how airway and facial development influenced standard development of the jaws and face. He was a great believer in breastfeeding, and his work has changed the lives of tens of thousands of children. Dr. Norman Thomas is an anatomist, physiologist, and dentist who fully understands the science behind Physiologic Dentistry and how it’s connected to one’s overall body health. He’s intellectually gifted and still makes it possible for professionals to integrate their scientific and experimental skills with primary science. He continues his work in the field of dentistry to this day and can be found at the Las Vegas Institute (LVI). Robert Jankelson is Barney’s son and continues his father’s work. He wrote the first manual on Physiologic Dentistry. Janet Travell is mostly recognized for her textbook ‘Myofascial Pain and Dysfunction: A Trigger Point Manual’. She was also President Kennedy’s private medical doctor, and often treated him for the constant pain (war injuries) he was in, even causing him to walk with a bit of a limp and use a walking cane. Dr. Travell changed his life by treating his relentless pain. Jackie Kennedy built the White House Rose Garden because Dr. Travell cherished roses. Dr. Ira Shapira was privileged in that he was able to be one of the many students who were looking to specialize in Physiologic Dentistry. He has been committed to learning all he can about the science of Physiologic Dentistry, and has been doing so for over 25 years now. 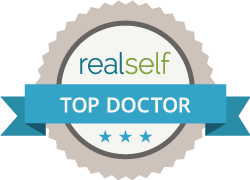 His partner Dr. Mark Amidei, has been with him for more than 16 years and also performs dental procedures by means of Physiologic Dentistry. Dr Shapira has over 30 years experience in Physiologic Dentistry and studied with all of the greats in the field. Traditional Dentistry assumes that the jaw is always in its correct position. Physiologic Dentistry focuses on whether or not the jaw is indeed in its ideal position, which is vital for ones overall good health. Once the optimum position for a jaw is configured, it will be the basis for all future dentistry work. Our goal is not to look at each single tooth in order to solve a problem. Instead, we thoroughly inspect the complete physiologic and anatomical system of the head and neck, which is highly recommended when it comes to treating the patient as a whole (because this is the best method currently known for alleviating pain throughout the mouth as well as the entire body). We make every effort to take care of any issues as a whole so we can offer our patients a higher quality of life. And by aligning your jaw in the best position, your entire body will benefit because your jaw and jaw function have an effect on the whole body. The lower jaw compensates for the weight of the head, which rests on the spine much like the weights that are used for a doctor’s scale. You set the 30 and 5 pound weights and when you get to the 1 pound weight it perfectly adjusts the scale so that it’s entirely centered. If you move the weight even just a little in any way, the scale doesn’t necessarily go out of balance a little, and instead goes ‘clunk’. This is what happens when there are any disorders in the jaw area; the entire body’s postural balance is thrown off. Every time this situation occurs, Dr. Shapira tells his patients, “You’ve been clunked!”. Caution! All doctors who use these modalities do not practice Physiologic Dentistry. Some use the information as a baseline only! An EMG (Electromyography) is used along with an MKG or CMS in order to properly assess the physiologic state and function of the masticatory (jaw) muscles and neck postural muscles. An EMG can be used to calculate the jaw muscles to make sure they’re balanced, which helps in understanding one’s overall health (at rest and when not at rest) and can be used to make extremely precise adjustments to the bite. An EMG is also used to determine the efficiency of TENS when it comes to the relaxation of the jaw muscles. Physiologic Dentistry normally uses bipolar adhesive skin electrodes that can calculate movement only, so there’s no pain when undergoing EMG testing. 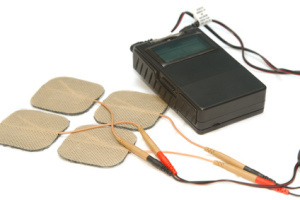 The general helpfulness of muscle relaxation can be determined by an EMG following the use of TENS. The idea for the MKG was conceived by Dr. Barney Jankelson, Dr. J intended to determine mandibular movement in 3 dimensions in order to follow jaw patterns that could help one identify with both function and dysfunction. The scanner works by finding and following a small magnet placed by the lower front teeth and then tracking its progress by using special sensors that don’t connect with the lower jaw. This allows for the ability to learn about mandibular motion while making sure there aren’t any interferences. 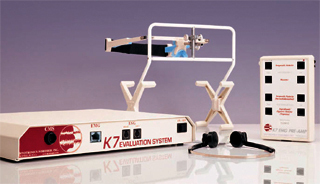 Dr. Shapira has been using an MKG for 23 years, with his very first model using an oscilloscope. Findings found utilizing oscilloscope results have been verified by today’s computers, and those who have used an oscilloscope in the past tend to have a deeper understanding when compared to those who are now learning using only computers. TENS (Transcutaneous Electrical Neural Stimulation) is a central piece when it comes to Physiologic Dentistry and is used to generate a relaxed state in damaging, diseased or spastic muscles. The Myomonitor is a precise type of TENS unit that was invented by Dr. Barney Jankelson, and when utilized relaxes both the masticatory and cervical musculature. Once the tiny electrical impulse is triggered, the muscles are gently stimulated into a single synapse reflex (comparable to the knee-jerk done by doctors) over and over again over for a predetermined amount of time, which will naturally loosen up the muscles. Although some people have doubts about how natural this process is, the fact is that this repetitive pulsing helps to remove metabolic waste out of the muscles cells, which helps improve the blood with oxygen and nourishment. The muscles also relax as they begin to heal, which is better than any unnatural relaxation techniques that can be used because they often contain too many harmful chemicals and/or drugs. The pulses transpire every 1.5 seconds and last about 500th of a second, as this is all the time needed to help the cellular membrane go back to its normal position. The muscles can receive this pulse for a long time without issue and it won’t cause fatigue. Borer Associates have a comparable TENS unit that’s used for the same reasons, yet have a few differences in the general design. 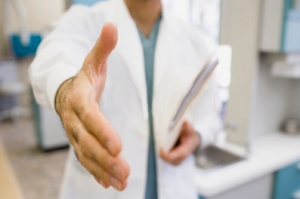 These minor differences usually aren’t an issue, but when it comes to complex and/or long-term patients each unit has its own set of rewards, which all expert Physiologic practitioners will tell you. Both types of TENS are used in combination with the MKG and EMG in order to properly assess any and all changes in the mandibular position and/or jaw function as the muscles are improved. Most concerns connected with continuing muscle issues are related to less than ideal conditions, with many stemming from a repetitive strain injury (because the muscles are used over and over again, causing strain). These devices are a great support that helps doctors make much more precise conclusions, which they will then use to prepare a valuable treatment plan. Transcranial Neural Transmitter Modulation is a very distinctive type of TENS unit that’s intended to stimulate the brain in order to generate neurotransmitter changes that would be comparable to powerful antidepressants, and without the unwanted side effects. Dr. Ira Shapira has been using this tool as part of his diagnostic protocol so he can fully understand and accordingly distinguish between peripheral disorders and problems stemming from the central nervous system (CNS). When TENSing (Transcutaneous Electrical Physiologic Stimulation) is used the lactic acid in the jaw muscles is released, which means that they can now be nourished with fresh blood and oxygen. This helps to loosen up the muscles so that Physiologic dentist Dr. Shapira can realign the jaw back to its correct position, which will start the occlusion that allows a patients muscles to go back to their original, healthy state. The counteractive repositioning is typically done by a diagnostic orthotic, which allows a precise diagnosis to be made. Phase 1 Treatment is intended to find a practical position that fixates the jaw so that the muscles can naturally go back to their relaxed state. Phase 2 Treatment refers to using a long-lasting stabilization method that utilizes a more stable orthotic cosmetic reconstruction orthodontic or surgical intervention. Evading necessary surgery is a top concern of Dr. Shapira’s, mainly for the reason that there tends to be many obstacles when it comes to having surgery. Physiologic dentist Dr. Shapira has been dealing with persistent head and neck pain patients for 23 years. His practice is devoted to using only the best non-surgical alternatives to treating Temporomandibular Joint Dysfunction and relies on drug-free pain management tools. He’s qualified to treat sleep apnea issues using FDA-approved devices as non-surgical options to UP3 and Tracheotomy. He fully comprehends how jaw position and sleep apnea are related, and does his best to deal with this physical and biochemical disorder that so many people are dealing with these days. He has effectively treated hundreds of patients who have come to him with a number of TM Joint problems, TMD problems and countless other connected conditions. As a previous victim of chronic pain, Dr. Shapira has chosen to make a personal commitment to not only relieving his own pain but to give all of his patients the quality of life they thought they could never have. Dr. Shapira trained with Dr. Janet Travell, who is the world’s leading authority on myofascial pain and dysfunction, and utilizes all of the techniques he learned from her that can help to lessen the pain as well as re-establish normality in the functioning of jaw muscles. Many specialists believe that Fibromyalgia and Myofascial Dysfunction are two subsets of the same disorder. Lots of patients may remember Dr. Shapira from when he was working with the Pain Relief Center located in Racine Wisconsin. This center focuses on multidisciplinary practices in pain medication, along with the TMJ center and oral facial pain center of Chicago, where he trained with a Diplomat Oral Surgeon. His dual tenures at Rush Medical School is where he started his research in the treatment of sleep apnea and snoring, and where he became a visiting assistant professor, which led to his position as assistant professor. If you happen to be displaying any symptoms of TMJ and/or TMD disorder, we invite you to contact Dr. Ira Shapira located in Chicago, Illinois. Contact us today to make an appointment for a TMD treatment or TMJ treatment consultation.